Showing items in Stamps and Covers - Gilbert & Ellis Is. 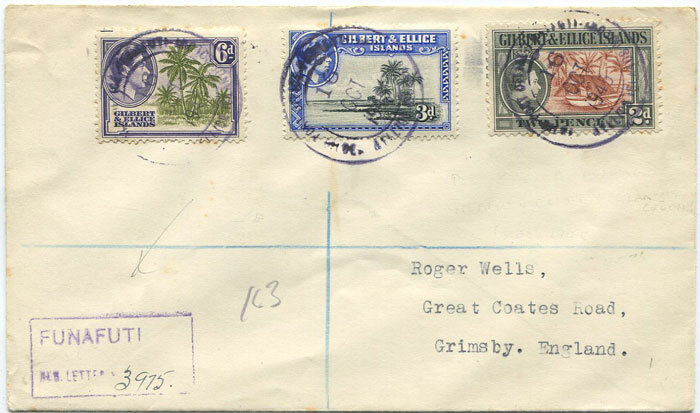 (Proud D7) on Roger Wells registered cover to England. 1946 38118 POST OFFICE ....rubber cds postmark on Gilbert & Ellis Is. 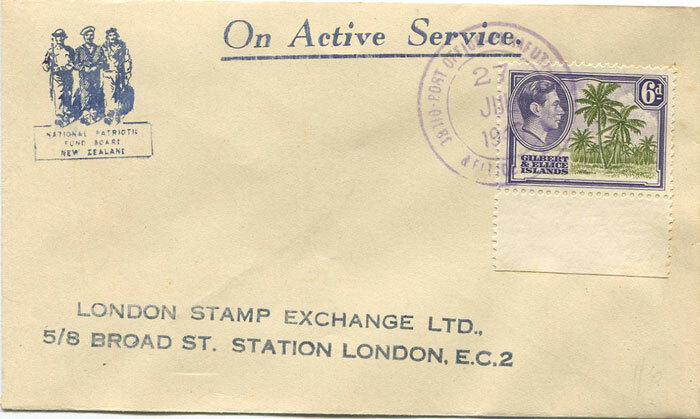 On Active Service cover to England with 6d franking. Fine. 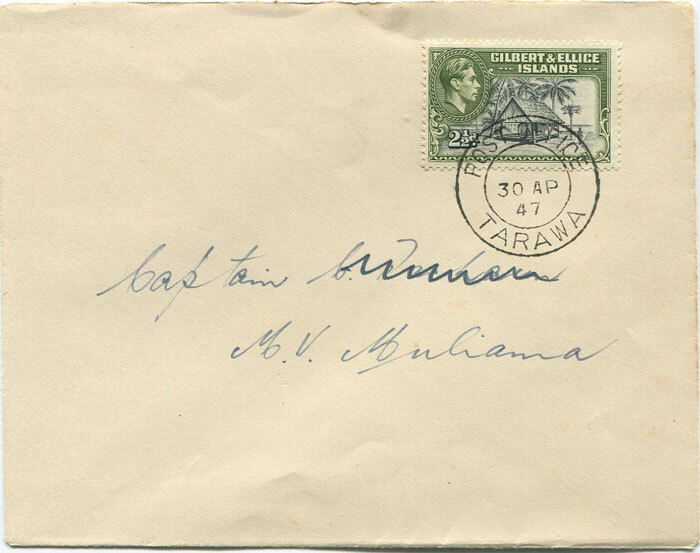 1946 POST OFFICE TARAWA cds postmark on Gilbert & Ellis Is. Victory pair F.D.C. 1947 POST OFFICE TARAWA cds postmark on Gilbert & Ellis Is. 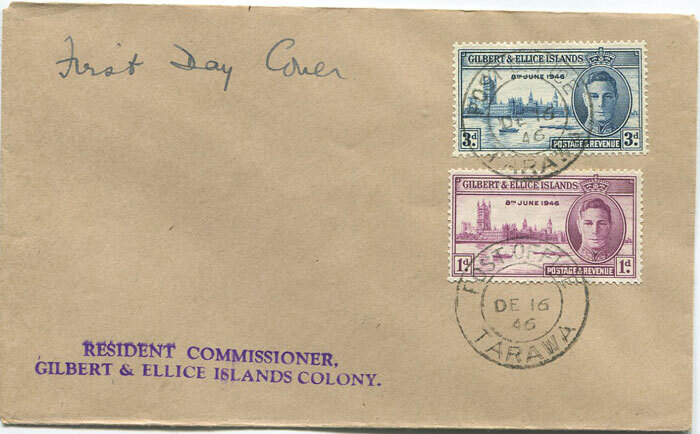 local cover with 2½d franking. Clean. JERSEY Stanley C. Postal History of the United States & Japanese military forces in the Gilbert & Ellis Islands World War Two Pacific Islands Study Circle 1978 39 large pp. 1st ed., fine in card covers. 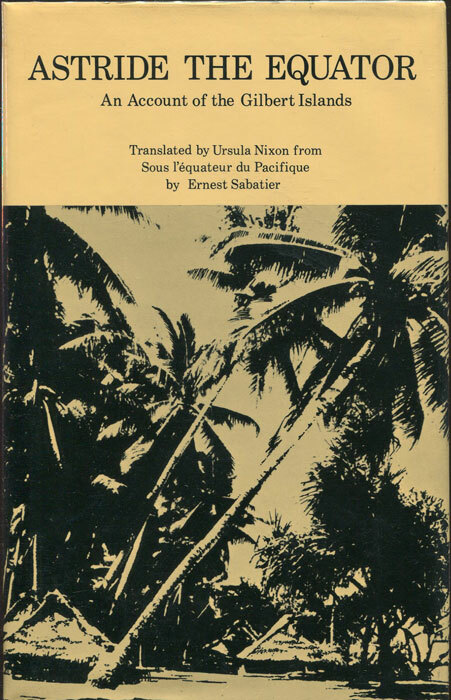 SABATIER Ernest Astride the Equator, An Account of the Gilbert Islands Oxford University Press, Melbourne 1977 viii + 386pp. 1st ed., fine in fine D/W.